This white door is located on a building at the West Bottoms in Kansas City, Missouri. I doubt very much that it still exist as rapidly as things are being torn down in that part of town. I was told not long ago that some of my photographs are like a Rorschach test. That if you look at them long enough you will begin to find images of other things. I really like that idea. When I see old doors like this that’s how they impress me. They work as symbols to another place and time. That is why I process the photos the way I do. 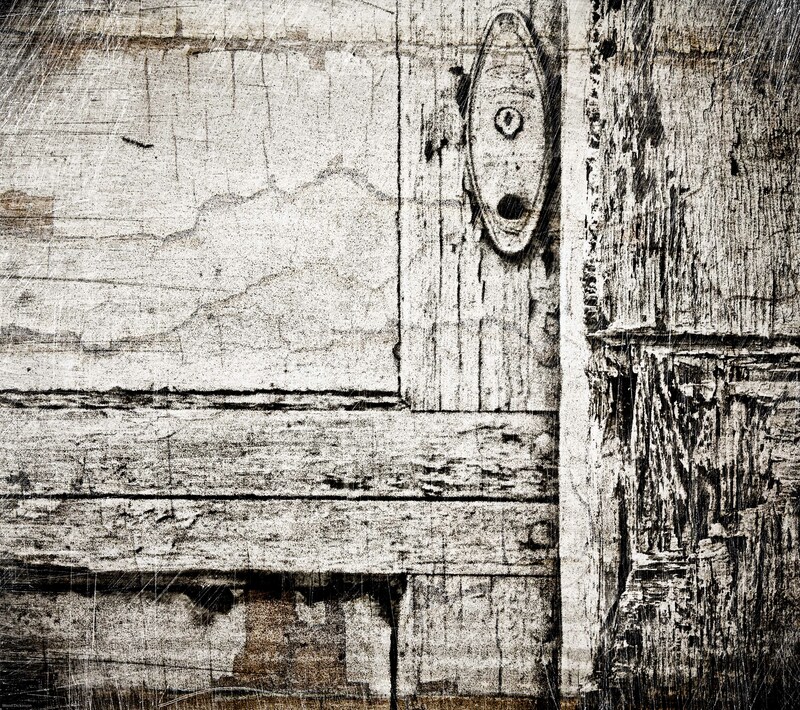 The last thing I’m looking for is a clean crisp image of an aged door. I’m looking at a symbol of the past. An object that could tell many stories and with the degradation of the image and my attempt to create the door as I see it I hope that it will bring stories out of your mind. I find this kind of work very satisfying. Needless to say I love beautiful sharp and clear images as well and love to produce them when I can but I find myself floating back to this type of image most of the time. High contrast, distressed layers and a level of abstractness that causes the viewer to interact on a more personal and emotional level. With the advent of Photoshop and all the “toys” you have at your disposal I think you have to be very careful not to over do this. I find I end up doing several versions of a photograph before I see what I’m looking for. It is a laborious process and takes a lot of time to think through the problem but when I’m done I feel I have done more that just create a photo. I look at it as a work of art with purpose and meaning.